In my last post I showed you How to create a Menu Widget using the News Reader Widget. 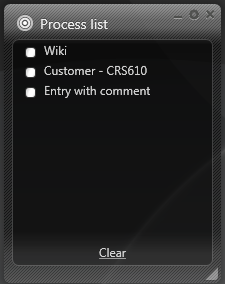 The News Reader has another hidden feature – it can be displayed as a checklist! This entry was posted in Smart Office Administration, Tips and tagged Check list, Menu, Navigator, News Reader, Predefined widgets, RSS, RSS Reader, Widgets on June 4, 2012 by Karin Portillo. This entry was posted in Smart Office Administration, Tips and tagged Menu, Navigator, News Reader, Predefined widgets, RSS, RSS Reader, Widgets on May 29, 2012 by Karin Portillo.